Our Soap and Candle workshops are creative spaces where skills and techniques are learned and nurtured. Our community chose goat’s milk as the base for our soaps. It’s a great natural product that’s good for your skin; especially if it sensitive or dry. Our community members describe it as smooth, soft, moisturising and buttery. Each soap has been gently fragranced to stimulate the senses in different ways. 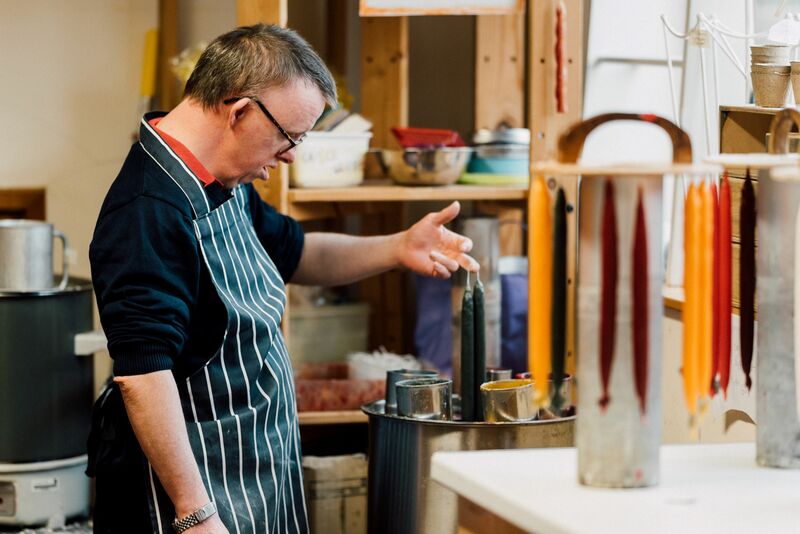 In our Candle Workshop we make a fantastic range of handmade candles for people to light and enjoy. 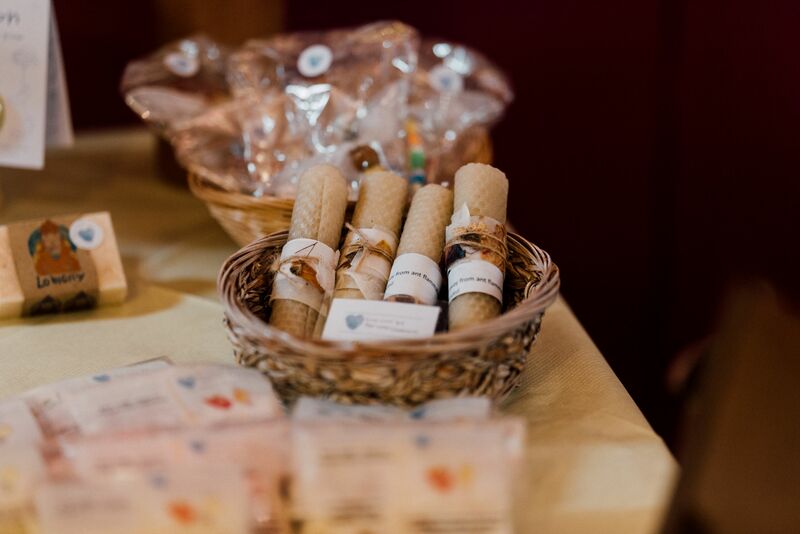 We produce dipped candles, rolled beeswax and fragranced jar candles. 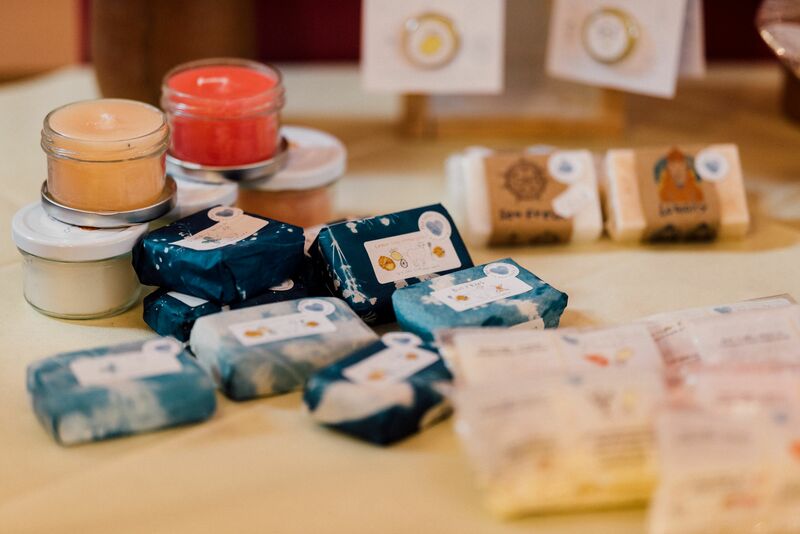 We use soya and 100% beeswax to make our candles for cleaner and toxin free burning. Soya is a vegetable wax made from the oil of soya beans which means they contain no carcinogens and pollutants.